Getting a Colorado driver’s license for minors is a strictly regulated process, largely because teenagers are a high-risk driving group, as evidenced by numerous traffic and driving fatality statistics across the country. Driving is no joke. If you crash or cause an accident, there is no going back in time to correct the events that led to the mishap. It is for this reason that Colorado state laws strictly impose certain requirements for teenage drivers before they are issued a license. And learn who can be in the car with a permit driver. 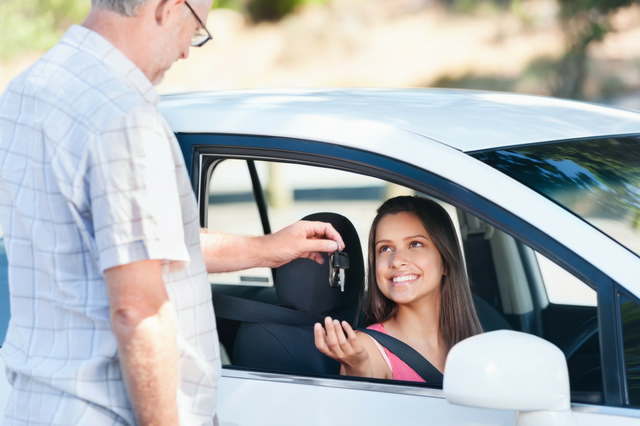 It can be difficult to understand what type of driving permit is best for your teenage driver. Read this article to learn more about the types of permits, how long the class will take, and get a feel for what will be on the driver's ed test. Colorado teenagers must hold a learner’s permit for one full year to become eligible for a driver’s license. With Colorado's enforcement of the graduated driver licensing program, or GDL, the type of learner’s permit your child gets would depend on their age. Teens from 15 to 15½ years of age should get their Driver Education permit. This permit is valid for three years, and is the first step for Colorado's younger teen drivers. This permit requires your teenager to complete the mandatory 30-hour driver’s education program from a state-accredited driving school. The program can be taken online or in-classroom, depending on your child’s schedule and learning preference. Once obtaining their learner's permit, the teen driver will need to pass the vision and written permit tests at a Colorado DMV. One point we would like to emphasize: Although your teenager needs to be at least 15 years old to obtain a driver education permit, teenagers as young as 14½ can start signing up for a driver’s education course. This is due to the six-month window between course completion and permit application. This permit is also valid for three years and granted to teenage drivers aged 15 ½ to 16 years who pass the written and vision tests. To qualify, your child can either take the 30-hour driver education course or complete the four-hour pre-qualification driver awareness program. Similar to the learner's permit, the Driver Awareness Permit will allow your teen driver to take the vision and written permit tests at a Colorado DMV. Also valid for three years, this learning permit is issued to drivers between the ages of 16 and 21 who pass the written and vision tests. Note that applicants 16 years and older are not required to complete any formal driver education courses to obtain an instruction permit. Upon completion, your teenager must pass a qualifying exam to obtain an affidavit of completion. Bring the affidavit to your local Colorado DMV when applying for a learning permit, alongside other requirements to prove your teenager's identity, such as your birth certificate or passport, and a proof of residency. Only when your child is issued a learner’s permit can they start logging the 50-hour supervised road time required to get their Colorado driver's license. But what happens when your teenager successfully passes each test? Read on as we attempt to answer that question. A teenage driver at least 15 years old must pass the written driving test to obtain a learner’s driving permit. This provisionary license allows your child to practice driving behind the wheel with the supervision of a licensed adult or a driver’s ed instructor. If you, the parent, are unable or unavailable, the state allows you to designate another licensed adult as your child’s driving supervisor. Driver’s permits are mailed to the address you provide and should arrive within 30 days. They expire after three years from the date of issuance, and if your child is under the age of 18, they must hold the permit for at least 12 months before taking the road test. If they between the ages of 18 and 21, your child may proceed with driver’s license application at any time after getting her driver’s permit. They will then be required to pass the road skills test, which can be administered either at your local DMV office or a certified driving school. Just like the driver’s permit, your child’s driver’s license will be mailed to the address specified in their application and should arrive within 30 days. After 30 days and it is yet to arrive, contact the issuing office. 2) The number of passengers in the back seat cannot be more than the number of seatbelts. 3) Everyone in the vehicle, including the teen driver, must wear their seatbelts at all times. Driver’s licenses expire 20 days after your child turns 21. Better to renew early or at most within a year after expiry. Renewing after one year of expiry will require them to retake both the written and road tests. Your teenager must at least be 15 years old to take the written driving test and obtain a driving permit. Permit types will depend on their age. The driving permit lets them hone their skills behind the wheel with the supervision of a licensed adult. They can then start logging the mandatory practice hours and behind-the-wheel training hours with a driving instructor (or an alternative adult supervisor in the absence of a driving institute within 30 miles of your home address). Your teenager must at least be 16 years old and has held their driver’s permit for at least one year to apply for a driver’s license and take the road skills test. You should receive your child’s driving permit or license within 30 days at the address indicated in their application. Otherwise, follow up with the licensing office. Educate your child on the driving restrictions for licensed drivers under 18 to avoid any run-ins with the law. Your teenage driver must pass two type of tests to obtain a driver’s license: the written test for the driver’s permit and the road skills test for the minor’s driver’s license. Both driving permit and license carry privileges and limitations that your child must be aware of at all times. If you have any questions on the written permit test or road skills exam, we can help you. Give us a call to speak with any of our experienced driving instructors or if you want to enroll your teenager in any of our driving courses.